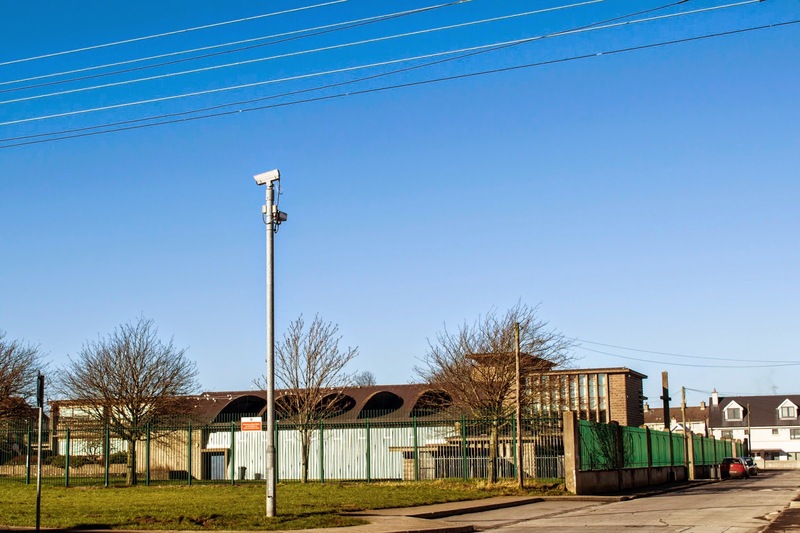 I was sad to read plans to close two of the primary schools on the Northside of Limerick city especially one in particular, St Munchin’s Boys School CBS. Set back from the Shelbourne Road and hidden by mature trees this building can be easily missed. The Boys School was built simultaneously with the Girls & Infant Boys School of the same name to educate the children of the new housing scheme Ballynanty which began in 1950. The design process for this school began in 1953 and construction was completed in 1955.The school reached its peak in relation to public numbers in excess of 600 in the sixties.Today the school has a much smaller number of about sixty or so in attendance facilitating 2nd-6th classes. Unusually for a Devane building it was faced with redbrick which was more expensive than his usual adoption of bare-faced concrete. However, he retained his signature expression by choice of flat roofs and use of contrasting materials. Here he used the formula of using minimal amount of materials to achieve maximum effect. Beauty lies in the simplicity of the clean lines and intersecting planes drawing the eye laterally. 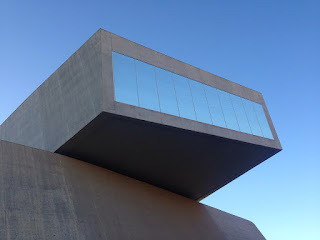 This was designed to counteract the striking external trabeation of the concrete window frames, wide overhanging eaves and cantilevered canopies. These features were made possible by new engineering technologies and pushing the integrity of materials to their full capacity enabled exciting new features in buildings. The entrance block cleverly incorporates the sign of the cross reinforcing the ethos of the school in reinforced concrete. The Irish vernacular tradition is used throughout with the brick but the influence of his mentor Frank Lloyd Wright’s Usonian House Style is subtle yet evident. The use of concrete was seen as a natural, organic and the ideologically correct material by Wright. Devane used concrete to its full advantage enabling him to create imaginative structures in the building design both inside and out. The symmetry and repetition of the horizontal fenestration gives this two-storey school a restrained grandeur allowing the omission of fussy embellishments. The site is simply landscaped without the same flair Devane demonstrated in the Girls School with only his signature concrete raised flowerbed at the entrance. The rest of the walled school grounds are made up of lawn and basketball court approached by a gated drive. 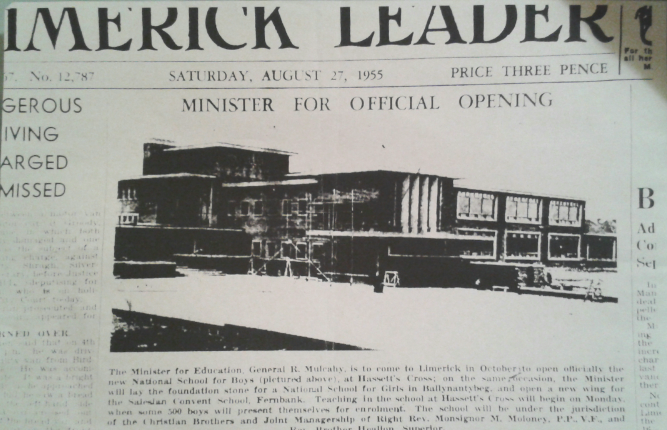 As with his other Limerick schools Devane followed the discipline of basis building at basic cost with real community benefit. Both this boys’ school and St Lelia’s National School in Kileely will close at the end of the school year and merge with another Devane designed school St Munchin’s Girls’ & Infants school. With its new pupils it will also receive a new name. It is incredible that this building has never been placed on the Record of Protected Structures whereas St Munchin’s Girls School has. 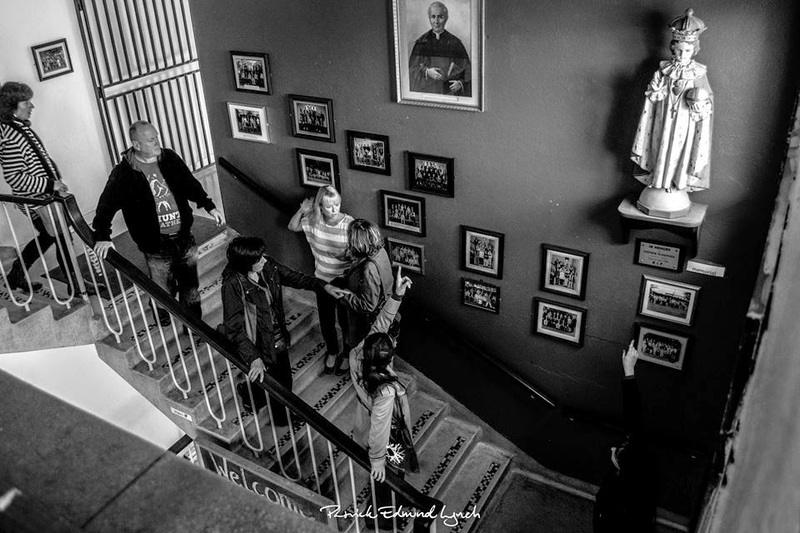 The drop in numbers to St Munchin’s Boys School had nothing to do with the standard of teaching or the condition of the building. This move reflects the sign of the times that people no longer send their child to the local primary school within walking distances. Since writing this post I was delighted to read on 7 March in the same paper that the Gaelscoil Sairseal National School on Bridge Street with currently 250 pupils is to move from their cramped conditions to this wonderful school. The Department of Education will cover the refurbishment costs which include the installation of girl's toilets as well as 'other general upgrading works.' Even though this school is not on the RPS I hope that every care is taken during this process by the Planning Department of Limerick City & County Council. Irish Builder 97, 19 Nov 1955, 1192.